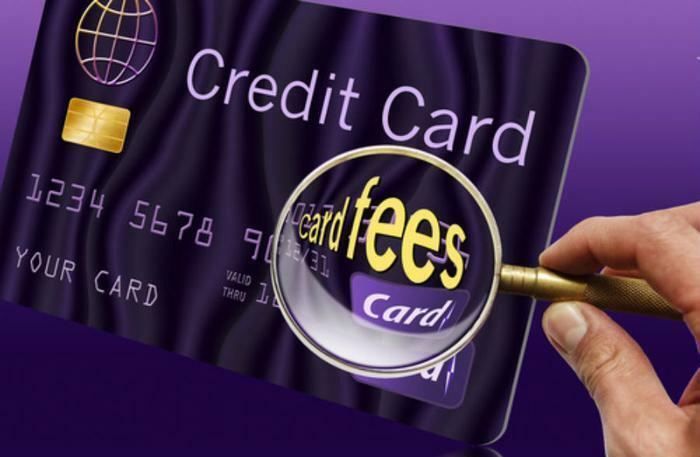 A report by card comparison site CreditCards.com has found the average credit card carries six potential fees, which can make a consumer's purchase a little more costly. The good news is there are fewer fees than there used to be. The credit card industry has gotten a lot more competitive and issuers have found reducing fees can make their products a lot more attractive to consumers. The study measured "potential" fees, meaning consumers may be able to avoid some or all of them. That makes selecting a card and reading the fine print increasingly important. The analysis found that the First Premier Bank credit card has the most fees at 12, while the Pentagon Federal Credit Union Promise Visa has the fewest potential fees -- just one. If you're late making a payment, you're very likely to be charged a late fee, regardless of the card you use. Most cards also charge a fee for taking a cash advance. Both are costly. Being late paying your bill can cost $37 or more while the typical fee for a cash advance is either $10 or 5% of the loan, whichever is greater. Again, a large majority of cards -- 85% -- charge a fee for transferring a balance. If you need to transfer a balance to a card with an introductory no-interest period, finding a card that doesn't charge that fee will save you about 3% of the transferred balance. About half the cards in the study charge a foreign transaction fee, usually 3% of the purchase. You don't have to travel outside the country to be charged this fee. If you make an online purchase from a foreign company, you'll pay the foreign transaction fee if your card charges it. "The good news is that all of these fees can be avoided with smart financial habits and the most common fees are among the easiest to dodge," said Matt Schulz, CreditCards.com's senior industry analyst. "I recommend setting up automatic payments, refraining from using credit cards at ATMs and shredding convenience checks." Just like you would choose a rewards credit card based on the type of spending you do, consideration should also be given to the fees a card may charge, and how your use or spending behavior may affect them.